Regular Groups: e.g. KEYS, Yoga, Belly Dancing. Pre-Kindy Program: for 3 year olds. Playgroups: operating 2 days per week. 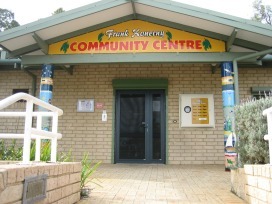 Workshops/Courses: The Centre offers a variety of computer, self-development, arts & crafts and parenting classes. These change each term. We have excellent facilities for all age groups, with emphasis on minimising costs to allow access to everyone. That is our Mission and Purpose: to bring people of all ages, nationalities and cultures together, to enhance their lives.